Of course one cannot forget the food, an important aspect of all festivals and holidays. 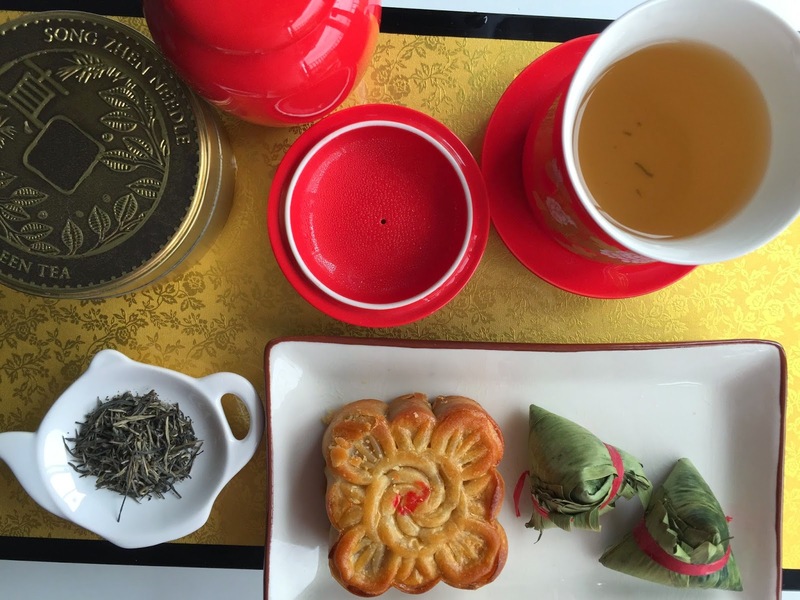 Traditionally, moon cakes are served and given as gifts. I am a huge fan of elaborately stuffed moon cakes (shark fin anyone?) 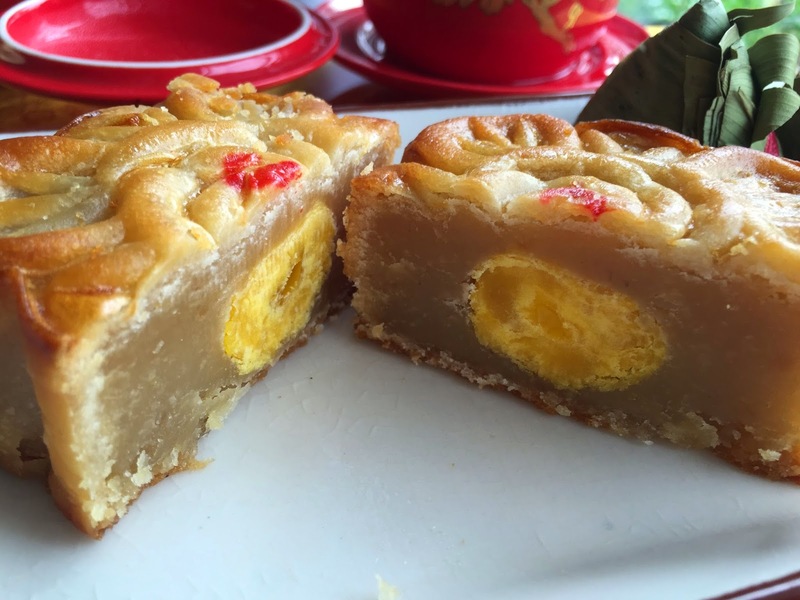 but this year I received the traditional moon cake with ground lotus seed covered in a sweet, flaky pastry (thank you mom!). It has been such a long time since I have had pure ground lotus seed paste, that I forgot how wonderful it tastes. If you have never had lotus seed, I would say it is comparable to chestnuts (like the paste of a mont blanc). The egg yolk tastes like what it is...preserved egg yolk and I generally eat around it. Other fillings include chinese sausage, mixed nuts, candied melon, and exotic flavors like bird's nest and shark fin. The center of the cake usually contains an egg yolk, symbolizing the full moon. I almost never eat this yolk because it tastes strange but the fillings are always delicious. My mom also sent over these adorable rice cakes wrapped in banana leaves. The rice cakes were filled with adzuki bean paste. I also got a tiny rice cake log stuffed with steamed bananas and red beans (another favorite, not pictured here). "One bud and two leaves are plucked when there is a fine downy hair on the buds. 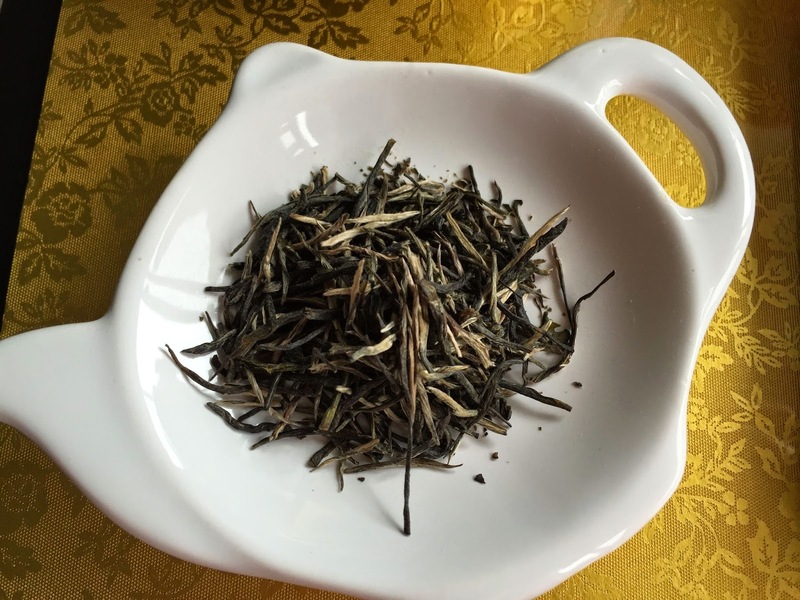 The infusion flavor has a nutty beginning with a mild-sweet middle note and sweet finish." I agree with the description of its taste profile. 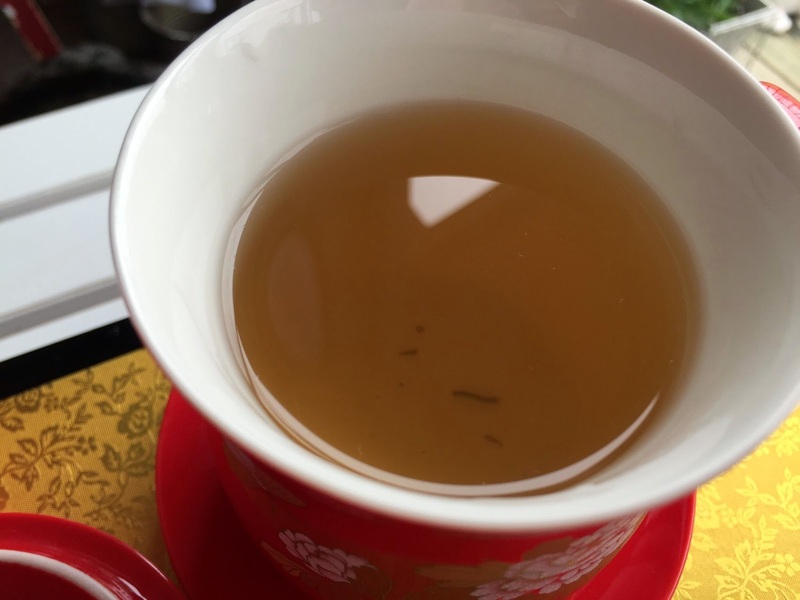 Although it may taste bland to some, I think it pairs quite well with my moon cake, allowing me savor each bite without overwhelming my taste buds with tannins or a strong grassy flavor. Alone, it may be a bit boring but I like it enough to have brewed almost all of it. The Tea Prosperity Collection came with 6 tins and I still have the other 5 tins to finish. 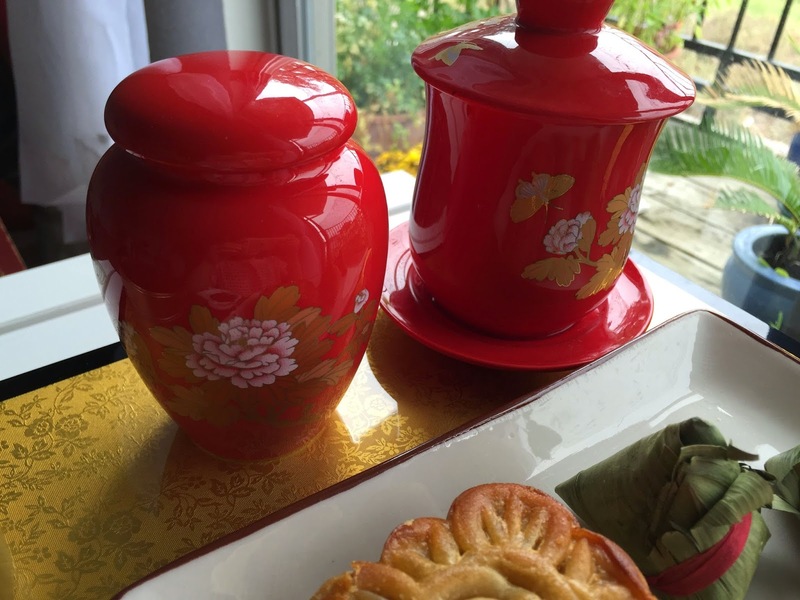 Do you celebrate the Moon Festival? What do you traditionally eat?